The 81775 GearWrench 5/8'' 6 Point Full Polish Combination Wrench is one of thousands of quality tooling products available from MRO Tools. 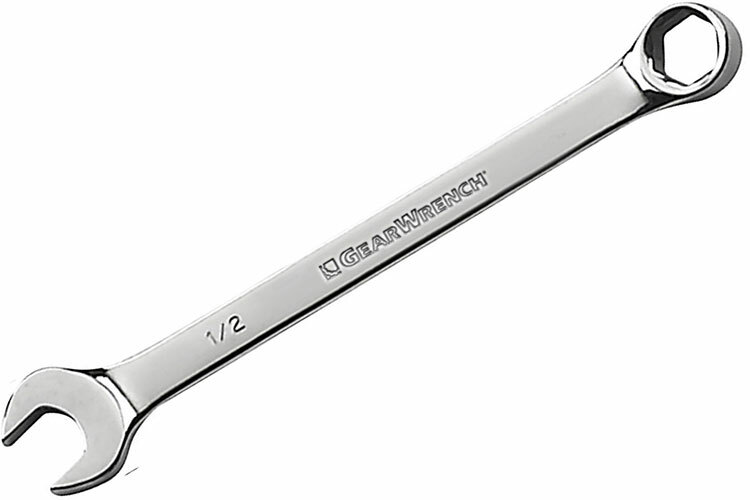 Please browse GearWrench 6 Point Full Polish Combination Non-Ratcheting Wrenches for tools similar to the 81775 GearWrench 5/8'' 6 Point Full Polish Combination Wrench. 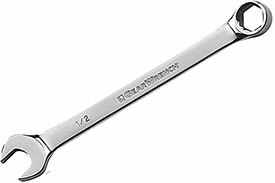 81775 GearWrench 5/8'' 6 Point Full Polish Combination Wrench description summary: GearWrench 5/8'' 6 point full polish combination wrench Fastener Size: 5/8'' Point Size: 6 Point Open End Width: 1.291'' Open End Thickness: 0.303'' Ratcheting End Width: 0.941'' Ratcheting End Thickness: 0.413'' Overall Length: 9.524'' Quantity discounts may be available for the 81775 GearWrench 5/8'' 6 Point Full Polish Combination Wrench. Please contact MRO Tools for details.